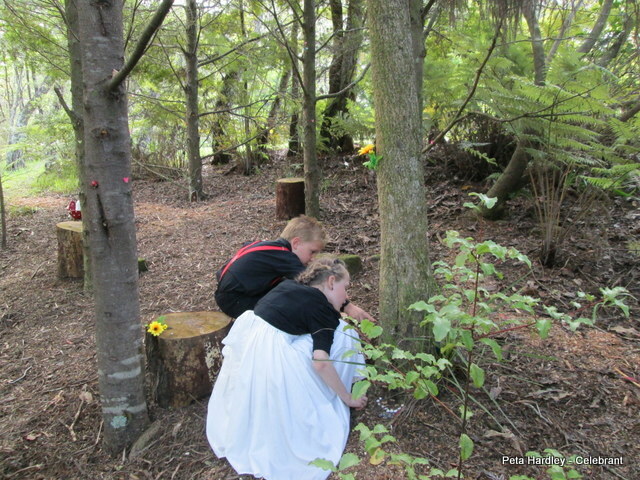 Aaron and Leah married here at my Kumeu home, ‘Casabella’. 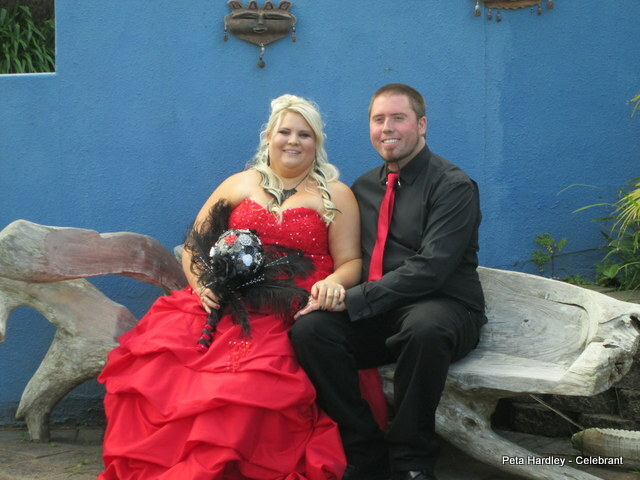 Leah looked a million dollars in her fabulous red dress… and Aaron looked pretty good too. 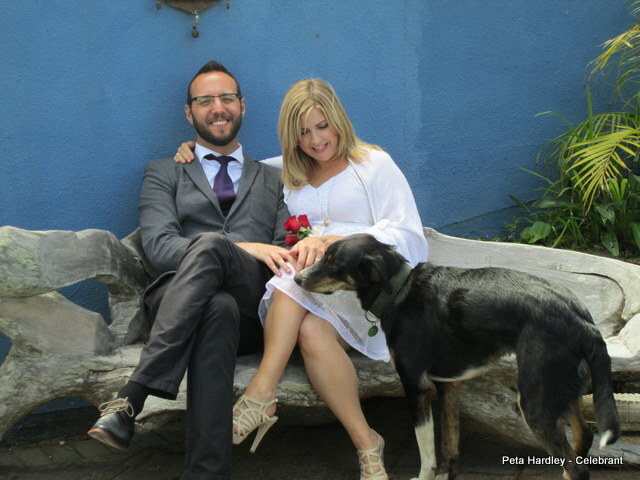 Leah and Aaron performed a sand ceremony that included their 3 lovely children. 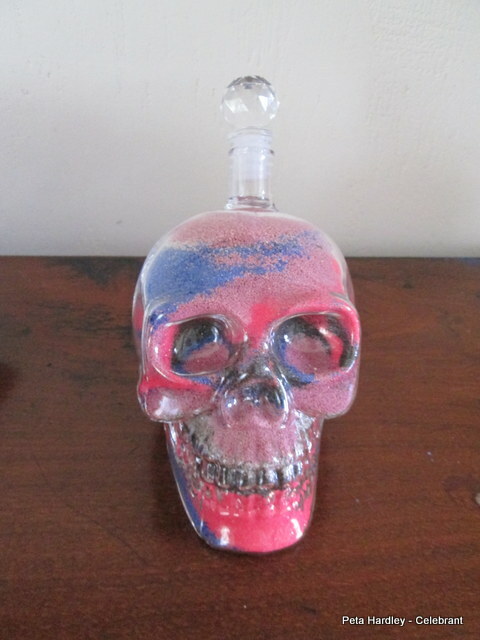 They used a glass skull rather than a bottle for the sand. The effect was remarkable! 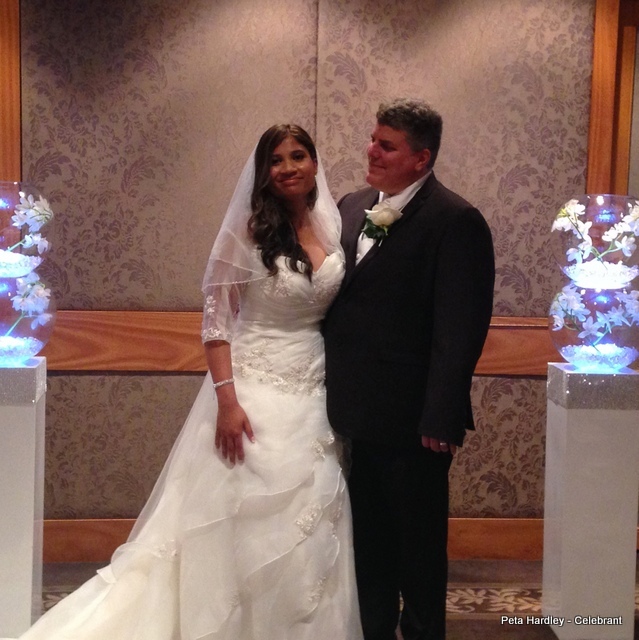 Leah and Aaron’s sand ceremony with a difference! 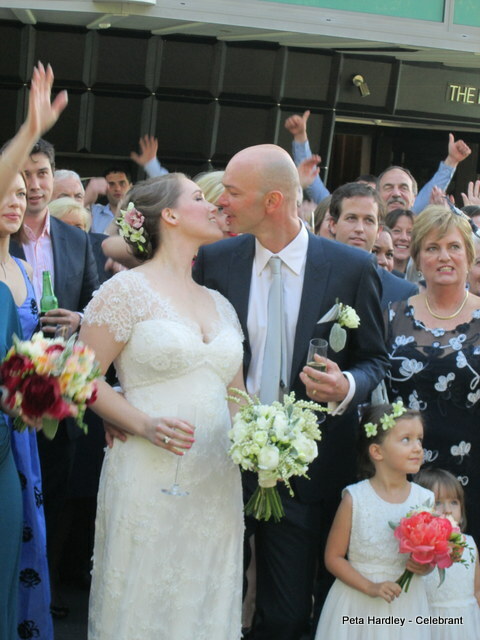 Jeanette and Richard had a cloudless perfect day to complement their elegant heartfelt wedding. 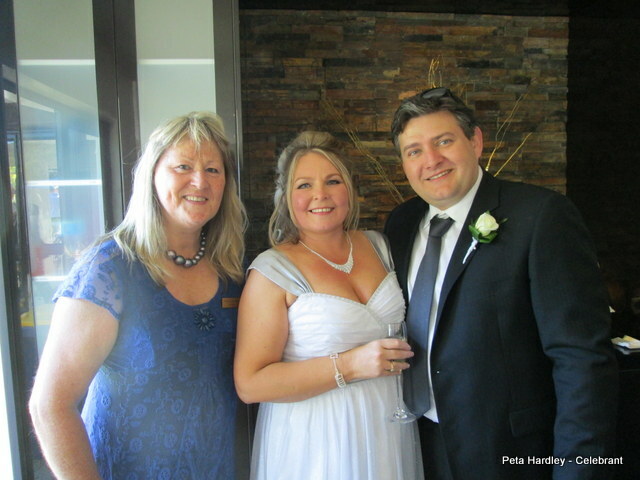 Surrounded by family and friends they exchanged their Vows at beautiful Flaxmere House in Bethells. 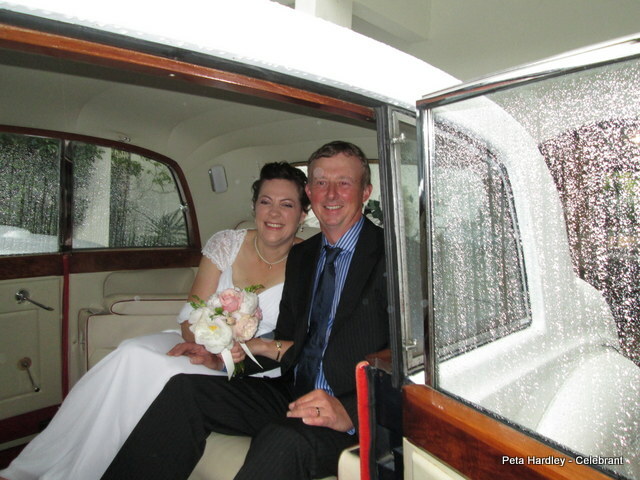 Sian and Sergey enjoyed harbour views to die for, when they married at the Wharf, under the harbor bridge. It was the perfect spot for a couple with an affinity to the water.